This week has been Safety Week and the children have been learning lots about the different people who look after us and keep us safe. They have also been thinking about the things they can do to keep themselves safe at school, at home and when out and about. On Tuesday we had a visit from a Firefighter, Gareth. He talked to us about all the things firefighters do to keep us safe and look after us. He showed us a real fire alarm and explained that every house should have one downstairs and one upstairs. He told us they should be tested once a week! We found out that fire alarms are like giant noses sniffing out for smoke in our houses! Gareth made the alarm go off and we heard the loud noise they make. We know have to be loud so they can wake us up if we’re asleep when a fire is starting. Especially if we snore lots like Gareth! We acted out the routine for what to do when we hear a fire alarm at home, we have to quickly ‘Get Out’ and call 999 for the fire/emergency services. Gareth also explained the dangers of fire and how we can make sure we are safe around fire. He warned us about touching lighters/matches and explained only adults should touch them. We talked about birthdays and birthday cake! Gareth explained we have to be very careful when there are lit candles, like on a birthday cake. We practiced what to do if we do find our clothes catch alight. We have to Stop, Drop and Roll. 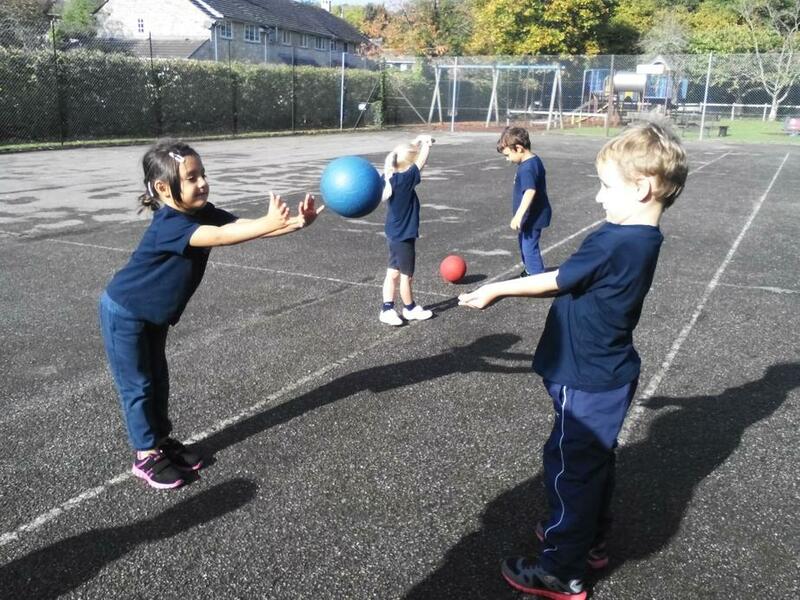 Giant class learnt lots about how to keep themselves safe and about how firefighters can keep them safe too. They even had an opportunity to dress up just like fire fighters! On Wednesday, Giant and Trendle class had a visit from our local Community Support Officer. She read us a story about some children who went for a picnic with their mum in the park. She helped us to think about the good choices and not so good choices the people were making in the story. We talked about why it’s so important to wear our seatbelts in the car and to make sure whoever is driving isn’t distracted. 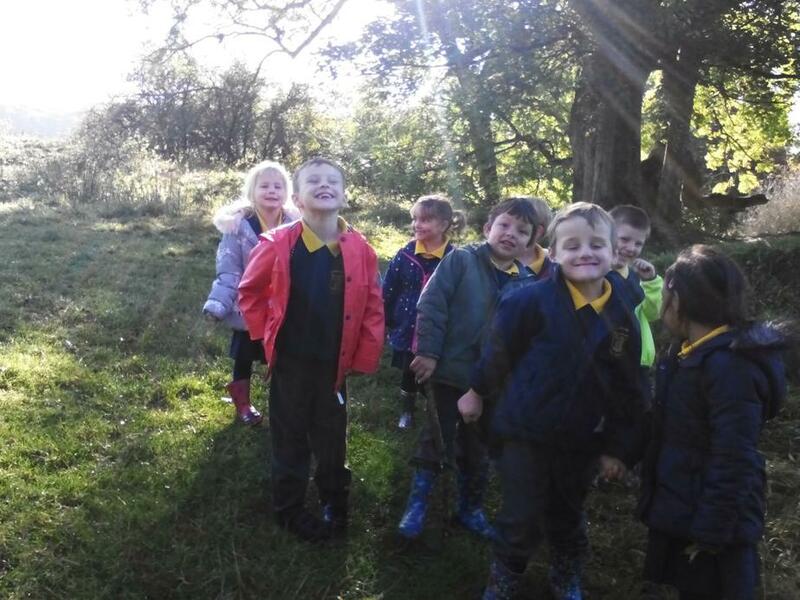 We also thought about how we can safely cross the road. We must Stop, Look and Listen before crossing the road and make sure we are walking slowly, not running. She talked to us about ‘safe adults’, our parents or family members, teachers or police officers. These are people we know we can trust and must listen carefully to. She showed us the different things on her uniform and used her radio to speak to someone in the office. She turned up the volume and let us say hello! It was very exciting to speak to someone over the radio! 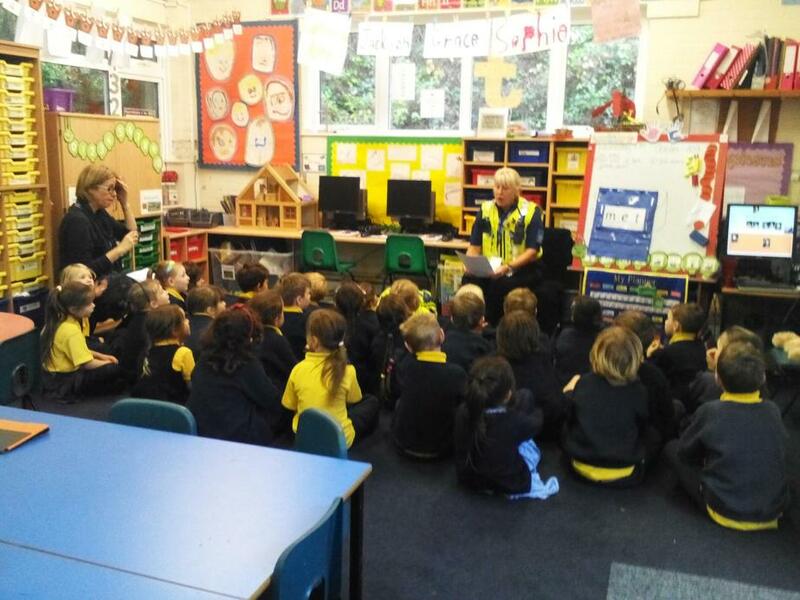 On Thursday our school site manager, Bernie Edwards came to talk to us about the things we can do to keep safe when we are at school. He talked about the jobs he has to do to maintain our school and keep it safe for us. We got to see some of the tools he uses! The drill made a whizzing noise and was very exciting! Thank you Bernie! 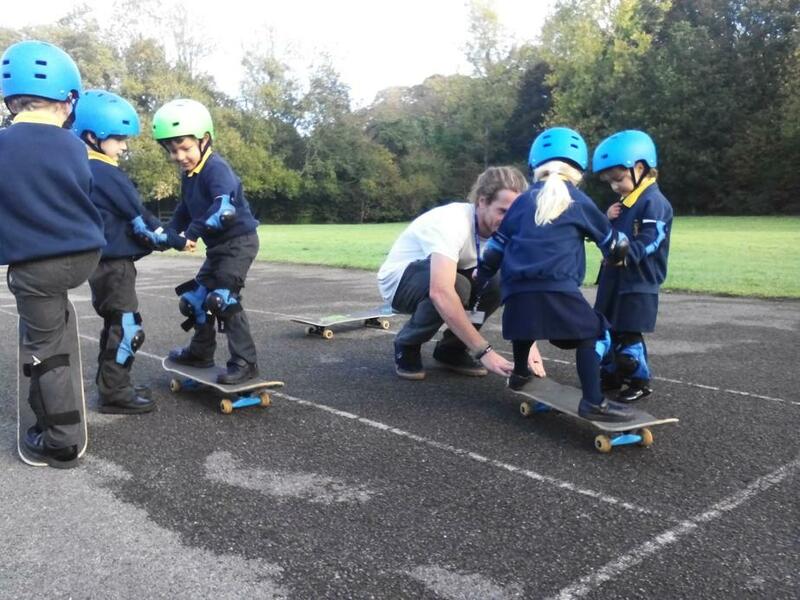 Today Giant class had the opportunity to take part in a Skateboarding session! 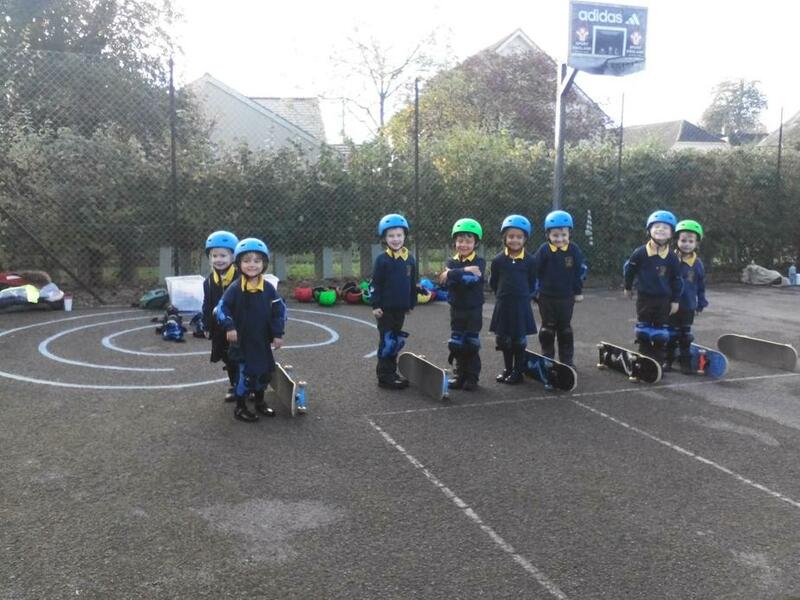 It was important to wear the appropriate safety gear, helmet, kneepads, elbow pads and gloves to make sure our bodies were protected just incase! 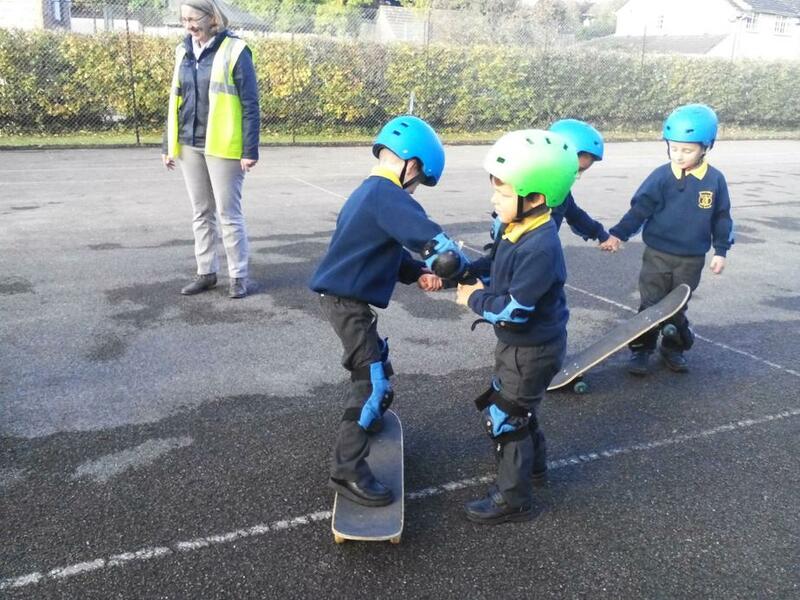 Our instructors gave us lots of tips and showed us the best way to balance, using our foot to push the board along. 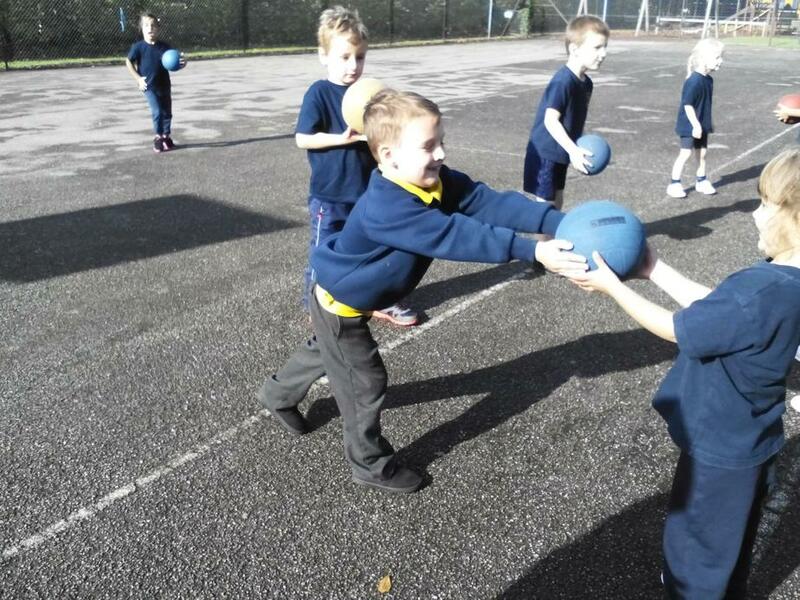 The Giants were being very confident and adventurous, willing to have a try! 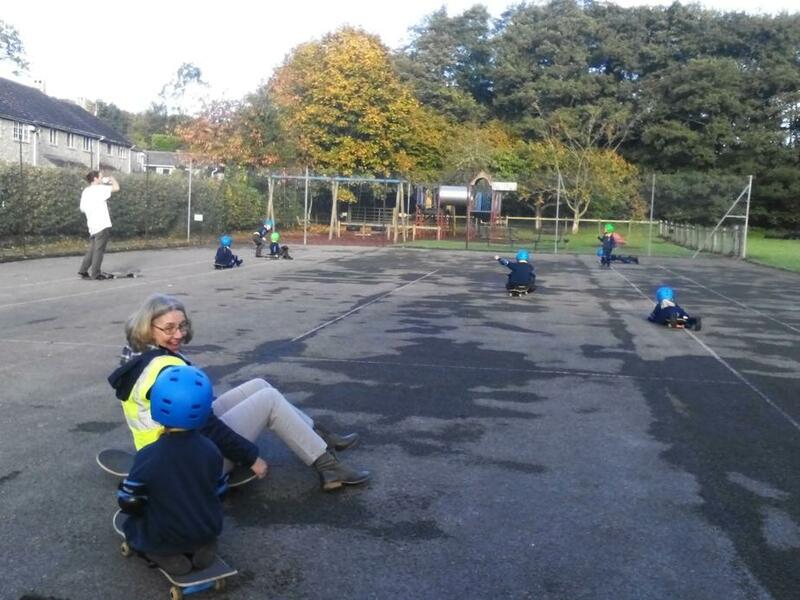 They listened carefully and had lots of fun trying out the skateboards. 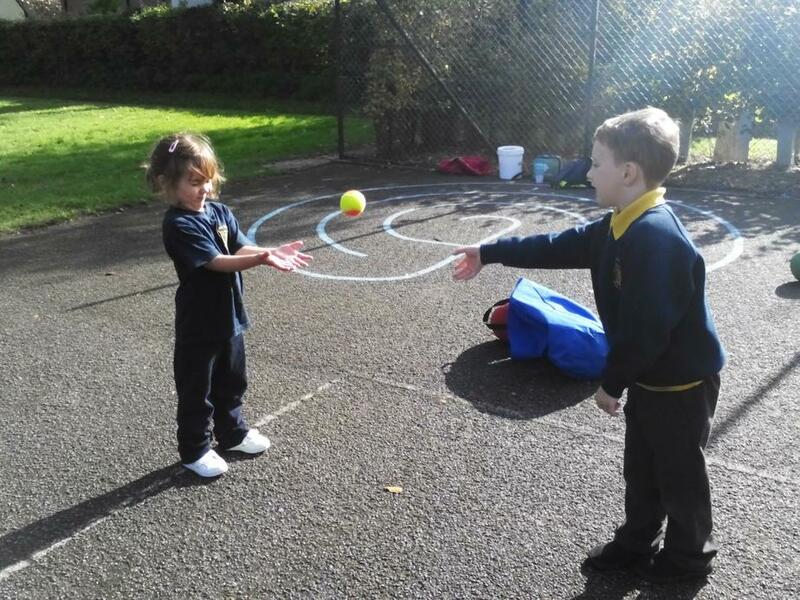 Giant class have been learning lots about how to keep safe. Hopefully they can tell you more about the special visitors they have met in school this week. What a fantastic end to a busy half term! 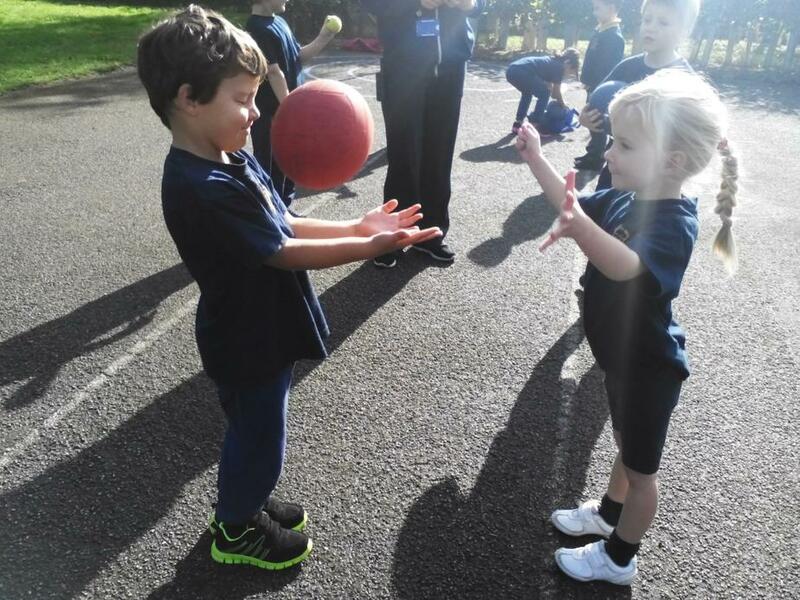 I have been so pleased with how well the Giant’s have settled in to their first term in school. They’ve worked so hard I think I might have to give them a week off!! I hope you all have lots of fun with your families. I look forward to hearing all about your half term adventures next Monday!